first trad kill on thanksgiving!! Re: first trad kill on thanksgiving!! 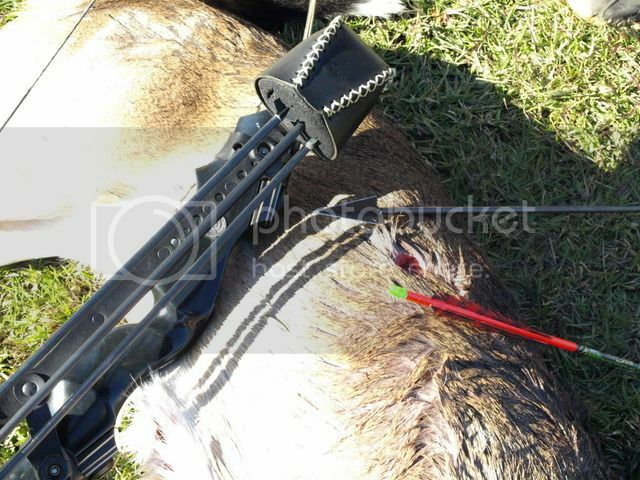 Way to keep after it Luke congrats on a great doe. "too many people live under the misguided impression that death is the worst possible of natural events"
-John G. Mitchell, "The Hunt"
Awesome great job young man that is a nice doe!!! Good shooting and you did a great jod of keeping your composure! I was really impressed with the woodsmans!! I am still using the same one I killed her with, just a few strokes of the file and ready to hunt! Yep life will never be the same, i wish i would have found trad at your age. Good job man!!! I have taken several on Thanksgiving day too! 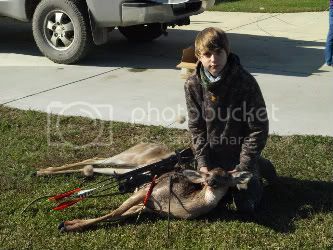 Thats awesome.....ha, killed my first a few years back on Thanksgivings too.